Looking For Drywall Services In Connecticut? Here’s Why Precision Drywall Is Your Choice! Whether you need drywall services for your home such as an unfinished basement or a commercial property, Precision Drywall in Connecticut is your choice for all your drywall needs. Maybe you love your home but wish it had a bit more space for you and your family. Even a small additional room to occupy can make all the difference for the comfort level of your home or business! When it comes to finishing those spaces, such as basements and attics, Precision Drywall offers full-service drywall contracting. Probably the most difficult project to envision is the basement. After all, many older Connecticut homes have basements that are cold, damp and dark. Hard to imagine a space that looks as beautiful as your upstairs, right? Precision Drywall can transform that space into another favorite area of the home. 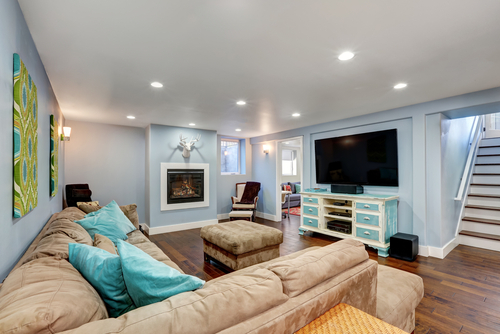 Contractors of all sizes, throughout Connecticut, rely on Precision Drywall for complete turn key service. From metal stud framing, acoustical ceiling, as well as hanging and finishing drywall. The team at Precision Drywall will complete your job with detail and perfection.